WOLF BLITZER, HOST: Qatar, like France, like Italy, has recognized the opposition. But are you going beyond that, because there were reports that Qatar is providing weapons to the opposition to fight Gadhafi’s forces? HAMAD BIN KHALIFA AL-THANI, EMIR OF QATAR: We are acting according to the — to the Security Council resolution. If it’s allowed to give aid to rebellion, military, other aid, we are going to do it. AL-THANI: That’s how we understood it and that’s what the foreign minister of Italy two days ago in Doha announced. BLITZER: So you — can you con — confirm that you’re providing weapons? You’re allowed to provide weapons, you say, to the opposition, but can you tell us if you are, in fact, doing that? 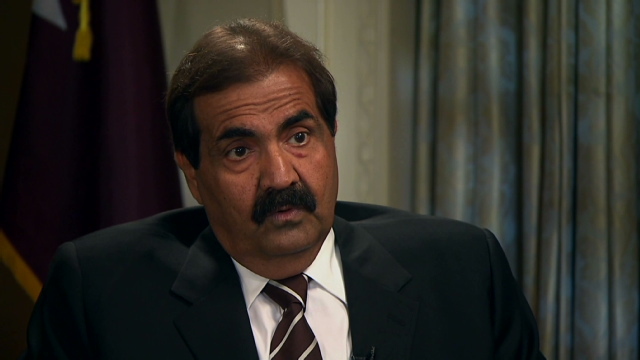 AL-THANI: If they will ask for weapons, we are going to provide them. AL-THANI: — need a lot of training. BLITZER: Because, Your Highness, you know that there are reports that French-made anti-tank weapons, you’ve already provided to the opposition. Is that true? AL-THANI: It might be arrived to them during the last two days. It’s possible.